Home Articles Make your own Holly Golightly Apartment! The Holly Golightly apartment in Breakfast at Tiffany’s is one most memorable apartment setups in film. This was accomplished by having quirky, fun, and memorable furnishings in the middle of bustling New York City. In order to accomplish and pull off the look of the Holly Golightly Apartment, you must accomplish most of the items below. The bathtub couch / sofa is really the focal point in the Holly Golightly apartment because it is truly a unique piece of furniture that. Not only has it become an iconic decor piece, but also a great talking point. The bathtub couch is hard to find since it’s so unique, however, if you do find one, they are really expensive due to their rarity. Your best bet is to make a bathtub couch yourself from a vintage claw foot bathtub. It’s really not as hard as it looks. If you don’t have any tools, ask a friend to borrow some. I think this looks absolutely beautiful! Stacked white luggage can be seen in the Holly Golightly Apartment right next to the entry door. It makes a very nice accent piece that shows that you’re always on the move and LOVE TO TRAVEL. Note that the above luggage is really expensive. I happen to own one of these brands and they are well worth the money… but again, it’s really expensive. You can definitely find other luggage that looks the same for dirt cheap at craigslist or ebay. Say what? You don’t have time to look at craigslist and ebay everyday? Me neither. I have a better way, I let technology work for me and tell me whenever someone posts a new item regarding luggage in my area on craigslist. How does this work? A simple app called IFTTT which stands for IF THIS THEN THAT. It’s a lot easier than it sounds, trust me! This is a little quirky and hobo-ish, however, it’s a cute idea that pays homage to Breakfast at Tiffany’s. Even if you don’t have a phone line, you can stage it as decoration. Buy an old rotary phone (like this one) a vintage suitcase, stage the phone on the suitcase or store it in the suitcase just like Holly! White kitchen cabinets and appliances … upgrade to stainless for a classier feel. That’s what I would do. I do not like the white appliances unless they have a very nolstalgic feel. Vintage looking 1960’s fridge – I love these fridges… love love love! Large white base trim – Notice the trim around the floor base and doors. It’s a good architectural grade trim. The large trim pairs good for large spaces like this. Don’t use large trim in a small space! Just don’t do it! it will make your space look incredibly tiny. Make sure that the trim looks good for the space. A Terrace Divider – I think that this would be optional since it’s not really as noticable. If you haven’t noticed, I am talking about the white terrace divider that is located to the right of the fridge. This would fold out like those japanese standing curtains and partition a space. You can notice a large wood chest in front of the bathtub couch that acts as a coffee table. I think it looks really nice and adds a touch of awesomeness to the apartment with oodles of character. To complete any HOLLY GOLIGHTLY apartment, you’ll need a good solid iron bed. The iron bed transports me back to a more innocent, refined, and magical time like in the 1900s or 1800s. I think it is a timeless piece and cast iron is all the rave right now. The style below I thought looked really cute! I think something that has an old vintage effect will look good inside the apartment. Beautiful Tiffany Blue with elegant gold trim – Why would you ever have any other sleep mask other than a Holly Golightly Sleep Mask? Maybe you don’t like sleep masks? In that case, it makes a great decor piece. Holly Golightly takes sleep seriously. So why not look good while doing it? You can make these ear plug tassles really easy. Just go to your local bed, bath, and beyond, go into the curtain section and locate the rope with tassles (to tie your curtains). Then attach them to earplugs however you’d like. Perfect sleeping aide for those noisy hectic nights! 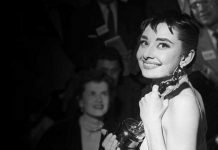 To lull your man closer to infatuation with you, you’ll need to learn how to play moon river on the guitar… but… if you are not musically inclined, you don’t have to play it, you can just display it as decoration. It doesn’t have to be an expensive guitar either. More rickety the better because it usually means that guitar has more character. You can probably pick one up for $50 at craigslist. Or find a decent one on Amazon, like this one here. You can’t have any big parties without alcohol and music. Ok, you can, but not any good ones! 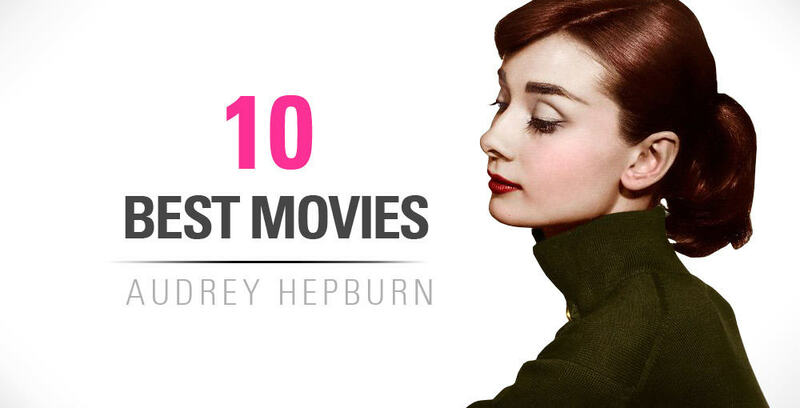 Take a look at the Breakfast at Tiffany’s Soundtrack to get an idea of music from the movie. These are the cat and dog masks that Paul and Holly wore when they were stealing at the 5 and 10 store. 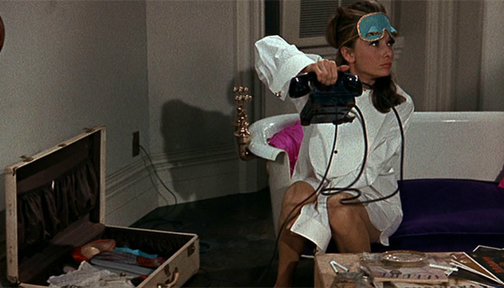 If you didn’t catch on, masks are one of the big themes/ symbol-isms in breakfast at Tiffany’s. Have these as a reminder that we all wear masks everyday even if it’s not made out of plastic. You’ll need an old typewriter for when your Paul moves in so he can work diligently. You’ll also need an orange tabby cat named cat that will bug you when you get out of bed. 🙂 You also have to name him Cat. Is there anywhere i can buy the cat and dog masks for Halloween? Hi Elaine, see your other comment i replied to, hope this helps a bit! If all else fails, you could try and make your own out of thick card stock paper… Also some people get pretty fancy with paper mache. What you do is attach clay to a curved surface and mold out the cat form by looking at the mask photos from the movie. Next you would paper mache on top of the clay form, let it dry, cut out eye holes, and paint! That would be the cheapest but longest and most time consuming, but I bet it would be fun! 😉 Good luck in your search! Where can i buy the cat and dog masks from the movie? Ok… I have good news and bad news… So it looks like there aren’t very many choices 🙁 . Stonenvy has a breakfast at tiffany’s Cat and Dog mask however it’s $90. I would contact them to see if they could sell you just one mask or maybe lower the price if thats too high for you. Best of Luck!